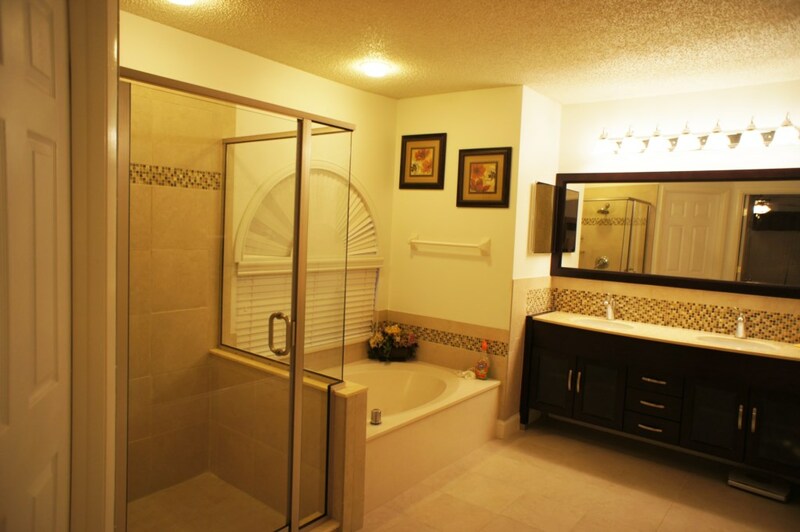 4 bedroom, 3.5 bathroom villa in the Lindfields community. Owned by Neil Riley. Ref: 169. 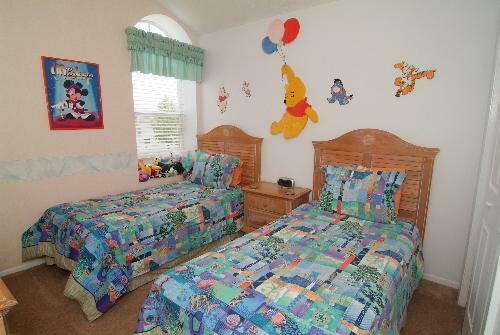 Excellent location, close to Disney. 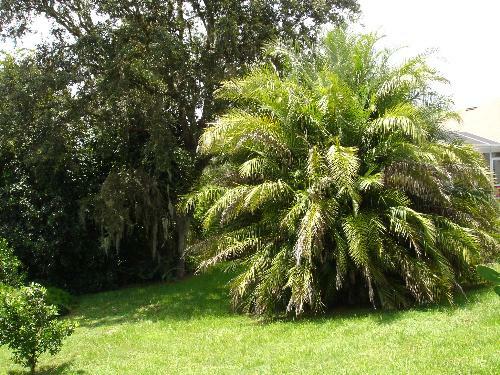 A beautiful air-conditioned villa standing in landscaped tropical gardens with a large heated private pool backing onto a woodlands conservation area.The garden is fully fenced making the property totally secluded.The heated pool is South/South West facing ensuring full Florida sunshine all day.For those requiring some shade we have a poolside sun lanai with ceiling fan.There is a top of the range Jacuzzi/Spa, both the Pool and Spa have mood enhancing led lighting.The pool deck is equipped with a full range of high quality pool furniture.There is also a gas BBQ & Air-Conditioned games room Free Internet Access for both Wireless & Cable connections plus a telephone package that allows free calls to all phones anywhere within the United States and Canada and to landline phones within the United Kingdom. The Villa is decorated and maintained to a very high standard. The house has the benefit of satellite TV and Blu-ray/DVD in 5 rooms (incuding a separate TV room). A Sony Sound Bar Entertainment Centre in the Lounge.Plus a PS3, 2 PS2's and a DVR. Lindfields is located on highway 192, about 4 miles from Disney. There are Restaurants, Two large supermarkets.a Walmart superstore, smaller stores and takeaways nearby.There is a Family Sports Bar close to Lindfields showing all Live sports on Big screens. 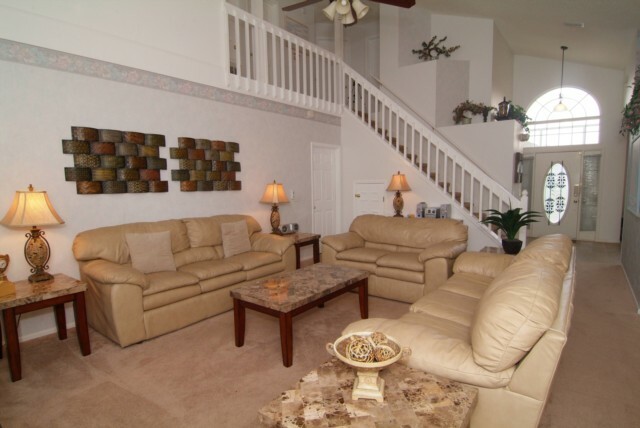 Close to all Orlandos attractions and golf courses. 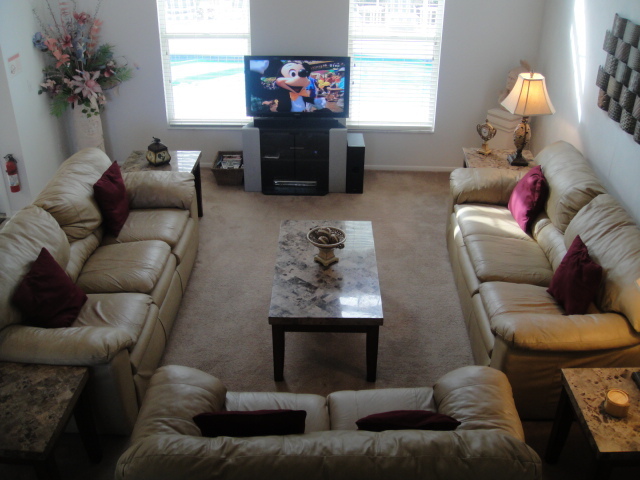 Only 10 minutes from Disney,15 minutes to Sea World and 20 minutes to Universal Studios,30 minutes from Orlando International airport. Lindfields is an exclusive development and a very popular choice for the discerning traveller wishing to live the "American Dream". 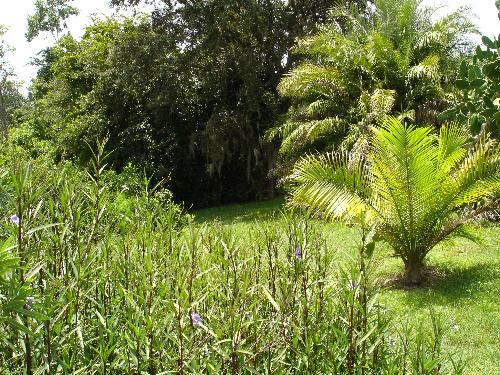 The house stands in beautiful tropical gardens and backs onto woodlands which is a conservation area,it is fully fenced and totally secluded giving absolute privacy.The pool and deck are receive full sun all day due to the Villa's South/South West facing position.The Pool & deck area is enclosed by a fine mesh screen which allows the sun in but keeps the bugs out.The garden is very mature and contains many shrubs and trees, including Royal Palms,Cactus,Orange,Lemon and Grapefruit which produce an abundance of fruit.Pick your own grapefruit for breakfast or blend your own fruit juice. No expense has been spared to make this house a wonderful holiday experience. Large open-plan living/dining room with high vaulted ceilings & sofa bed, (Satellite TV,Blu-ray player & Sony Sound Bar Entertainment System). 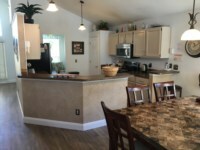 Fully fitted Kitchen, separate utility/laundry room. (with washing machine,dryer,iron & ironing board), 2nd TV sitting room (Satellite TV,PS3/Blu-ray Player). 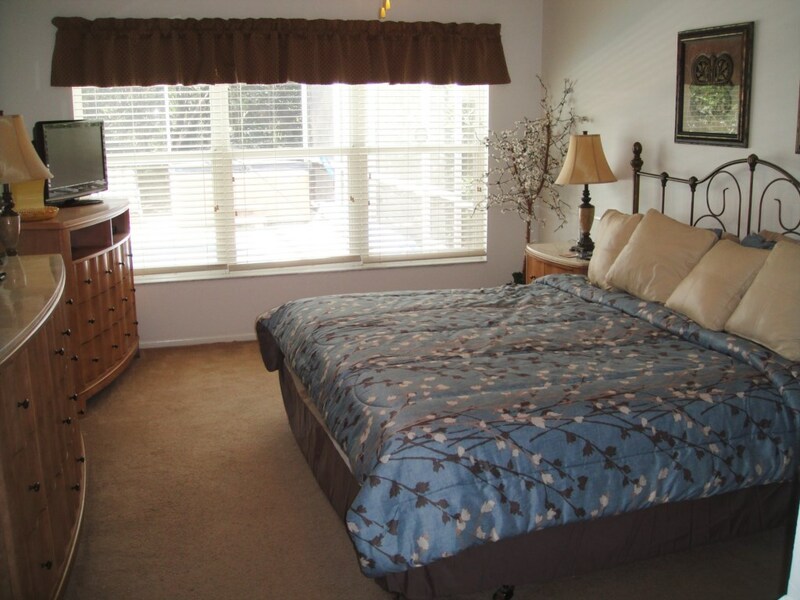 Master bedroom with King sized Bed (Satellite TV/DVD) plus a large en-suite bathroom and walk-in-closet. 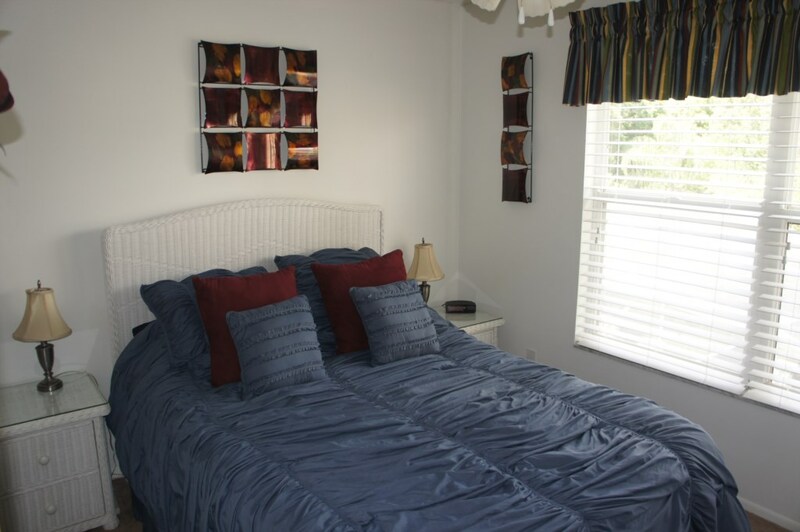 2nd double bedroom with Queen sized Bed (Satellite TV.DVD, & PS2)* En-Suite Shower room, plus 2 twin-bedded rooms, one of which has a Disney theme and the other Animal Kingdom.All Bedrooms have ceiling fans.There are also radio alarm clocks in all the bedrooms. Family bathroom plus separate downstairs cloakroom with toilet and wash basin.Air-Conditioned games room with Satellite TV, Pool, Table Football & Darts.All Bed Linen and Towels are provided for your comfort.Two hairdryers are also provided.We also have Internet Access for both Wireless and cable connections.Free telephone calls to all phones within the US and Canada and to landline phones within the United Kingdom. 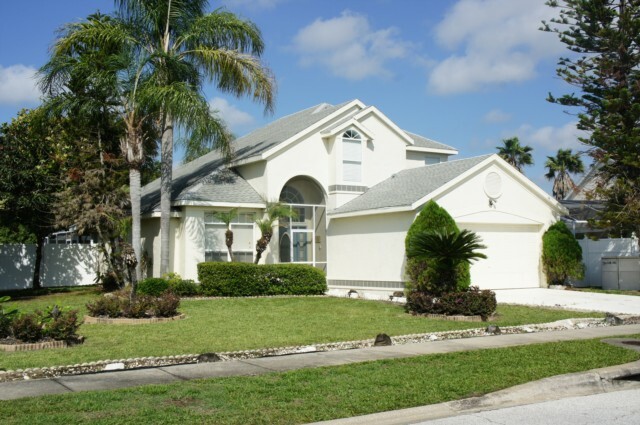 Whatever your reason to visit Orlando, and let’s face it there’s plenty (Disneyland, MGM Studios, fine weather, golf and shoppng to name but a few),AmazingDays is the perfect luxury holiday villa for your stay in Florida. Stunning in every way, our 2,100 sq feet, family run villa is light and airy with high vaulted celings and will sleep up to 8 people. Set in beautiful tropical gardens with orange, grapefruit and, lemon trees plus royal palms and cactus, the villa also backs onto a woodland conservation area, giving you total privacy.The villa boasts a screened oversized pool, deck area and sun lanai (for those requiring a little shade),plus a top of the range Jacuzzi/Spa, both the Pool & Spa have mood enhancing led lighting. The sub division is well maintained and has been very well planned,with road names like Kensington, Picadilly and Wellington a certain British distinction abounds throughout the development, all of which blends together quite nicely with the Florida theme. 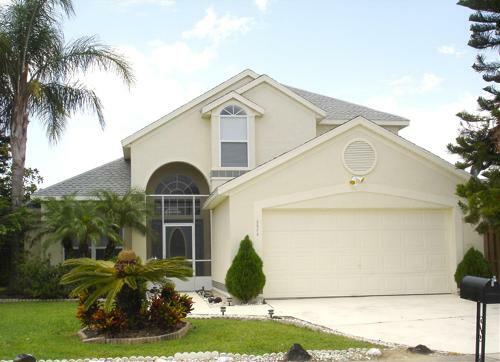 Lindfields is a very safe and tranquil sub division (estate) due to this reputation and it's ideal location, It is recognised as one of the most sought after Villa rental communities in the Orlando/Kissimmee area. Lindfields is an exclusive development and a very popular choice for the discerning traveller wishing to live the 'American Dream. 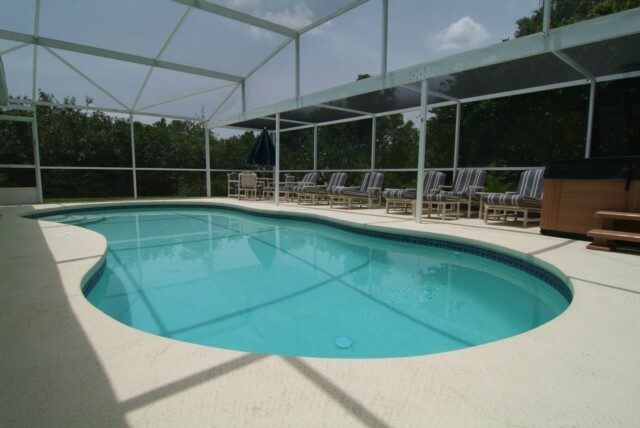 So, come and have fun in the Florida sun at the fabulous AmazingDays villa. Golf Information: If golf is your thing,experience the spectacular Orange Lake Country Club which is close to the entrance to Lindfields,it offers four challenging courses that will take your game to a whole new level with rolling greens and georgous fairways, just waiting for you.There are also lots of other top quality courses within a short drive of the villa. Final cleaning charge is included. Short stays available, less than 1 week cleaning charges extra. AMAZINGDAYS VILLA VILLA AND BEAUTIFUL GARDENS. LOUNGE AREA LOUNGE SAT TV/BLUE-RAY PLAYER LOUNGE/DINING AREA. 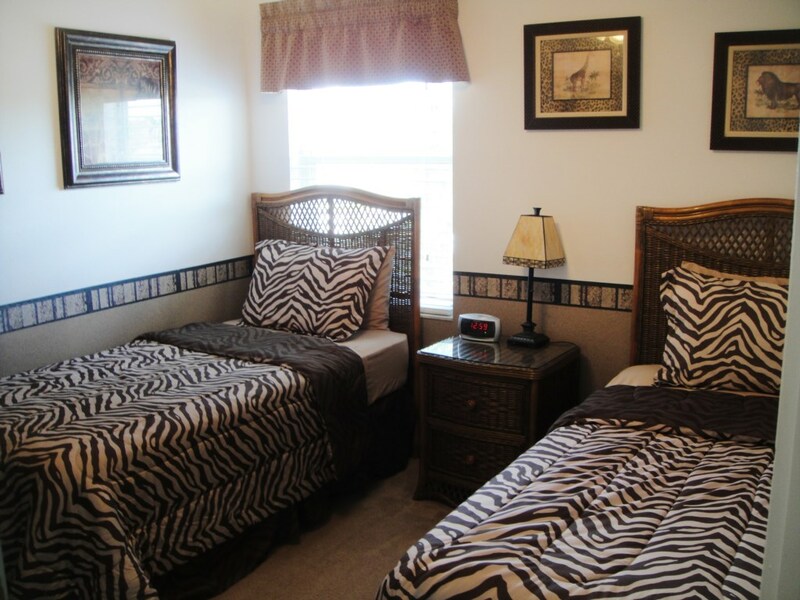 3RD/FAMILY BATHROOM BEDROOM 3 ANIMAL THEME BEDROOM 4 DISNEY THEME AIR-CONDITIONED GAMES ROOM. BEAUTIFUL TROPICAL GARDENS. SOUTH/SW FACING SECLUDED POOL POOL DINING AREA/SUN LANAI. JACUZZI/HOT TUB LANDSCAPED GARDENS. AMAZINGDAYS VILLA LINDFIELDS. We loved this Villa. A well stocked home that had everything we needed. The Villa had a nice feeling about it, nothing was old, Sofa and TV were in a nice position, Bedrooms were great and lots of bathrooms. Kitchen was well stocked, great oven, microwave, large fridge/freezer and a coffee machine that worked great. The pool was large so had room to swim some lengths in and the hot tub worked well to help ease the body after a long day out and about. The Garden area was covered and had nice fences to help with privacy. Location was great, Disney only 15 mins away and plenty of restaurants along the route. Supermarkets are close and easy reach to the I4. Owner's response: Thank you Stephen & Cat we are so pleased that you enjoyed your stay. Our third visit to Orlando and Lindfields is a brilliant location. 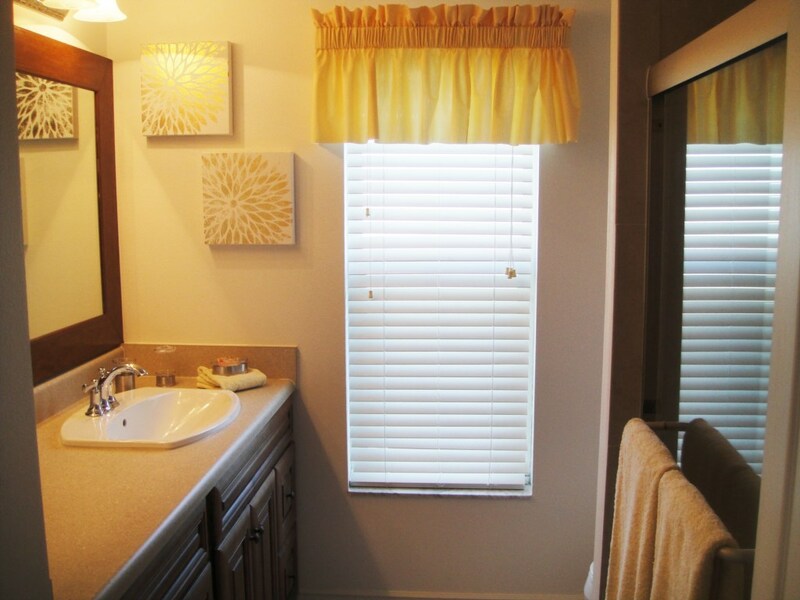 Kathy and Neil have a wonderful home that feels comfortable as soon as you walk in the front door. 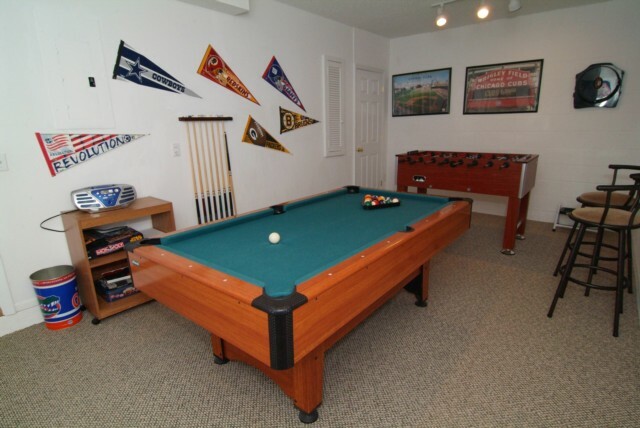 Should you be unfortunate enough to suffer a curfew during a hurricane the addition of the games room keeps everyone entertained. 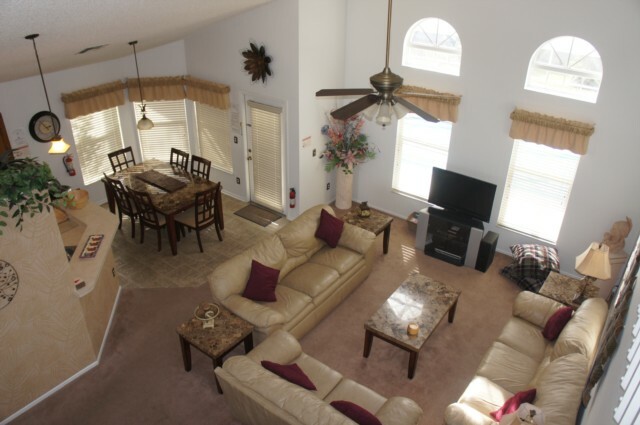 Beautiful gardens and secluded pool area makes for great evenings away from the parks. The four of us enjoyed our stay and can't recommend Kathy and Neils home enough. 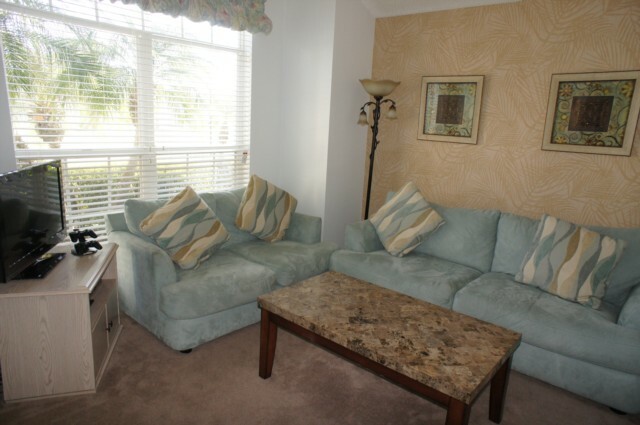 Owner's response: Thank you Derek & Nicola we are so pleased that you enjoyed your stay. 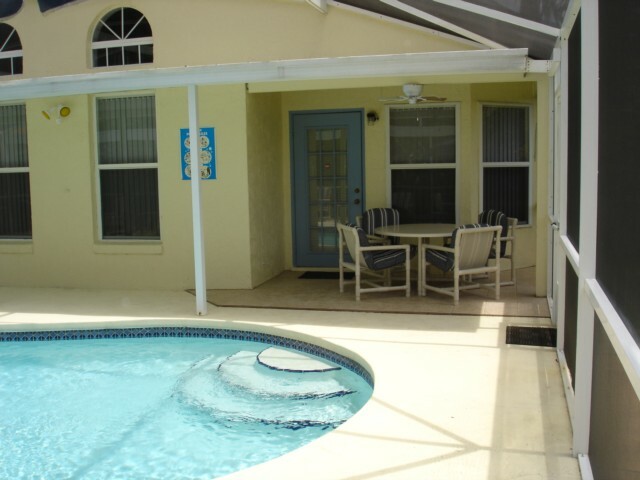 This was our 8th visit to Florida, 2nd time in the Lindfields area, and 1st time at this Villa. We are very fussy when choosing a Villa having had a lot of experience, this one ticked all our boxes. 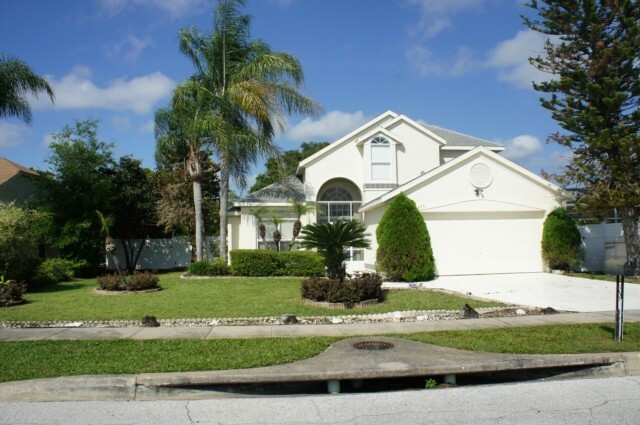 Great location for Parks, Supermarkets, Restaurants and the I4 motorway to Orlando & Tampa. The private secluded pool/garden area is a rare thing, lovely and relaxed, nice outlook, not overlooked. The standard of the fixtures and fittings in the villa is very high, with everything you could ever need. A wonderful air conditioned haven after the heat of the Parks. 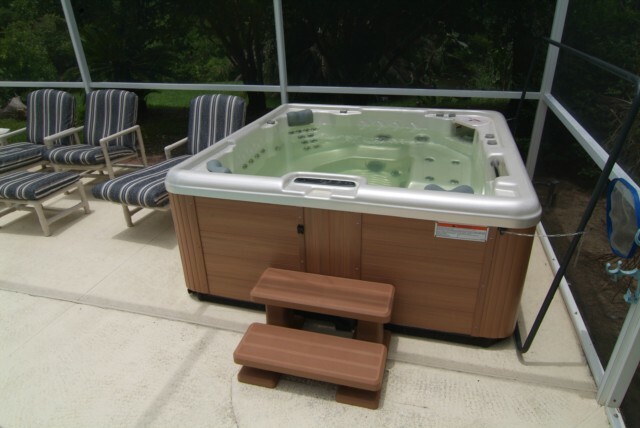 The hot tub was great to relax the muscles after the exertions of the day. Handy combination front door, so no keys to have to carry around. All in all, a comfortable home from home, which we would highly recommend. We have been to Florida 8 times in the last 10yrs and this villa is by far one of our if not the favourite of all we have stayed in. We always try to stay in the Lindfields area as it's a great location for getting to everything really easily. This villa is absolutely brilliant in every way. It's kitted out with everything needed for an enjoyable stay. The pool area is completely private and not overlooked which we do prefer for privacy. The villa is beautifully decorated and has a lovely homely feel to it. Our kids made good use of the games room too which they loved. And the villa owners are an absolute pleasure to book with, we booked over a year in advance, Neil and Kathy were really helpful from start to finish. We would 100% book this villa again without a doubt. Your enquiry will be sent to villa ref 169 only. This page has been viewed 98027 times since 02 Mar 2002.